Motorola Moto E, the latest upcoming budget smartphone has been spotted online with its Specifications and leak images. 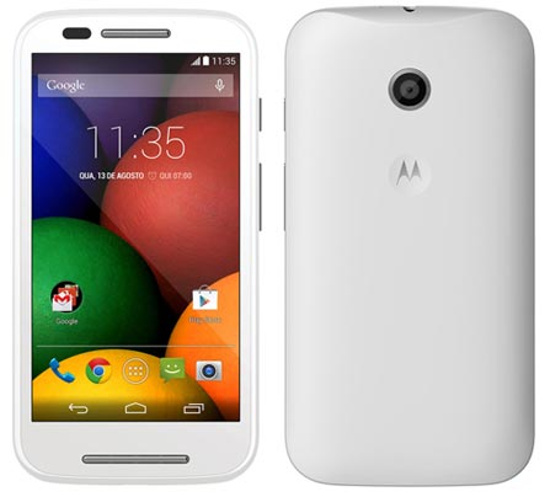 The Motorola Moto E XT1022 would be priced under RS9,000. It will be exclusively available from Flipkart. The Moto-E will have built in Digital TV. The handset will be released / launched on 13th of MAY. The Moto E would come up with 4.3 inch qHD HD Display, 1.2Ghz dual core CPU, 5-megapixel primary shooter, 1GB of RAM and 4GB of internal storage. Other features will be 3G, WiFi, Bluetooth, Single / Dual SIM, 1900 mAh battery. Motorola Moto E will be launched in London and in India on 13th MAY 2014. So Stay Tune FOR MORE TECH UPDATES.